PCOS and PCOD is a common issue, which is related with female’s ovary. PCOD – Polycystic Ovarian disease or a syndrome is a common disease, which circulates around many young girls and women. In India, one in ten women suffers from PCOD disorder. It could become more serious problem, if it is not treated timely. Many of the women do not even aware about their own PCOD syndrome, in this page, we are going to discuss about PCOD symptoms and all the necessary details about PCOD disorder. During the syndrome of PCOD, male hormone level increases in woman’s hormone level, due to the high rise of androgen, there are some sign, which starts appearing like unwanted hair growth on the chest, upper lips, chin portion etc, acne and skin problem, thinning of the scalp, headache and most important- infertility issue. Let’s discus all the factor in deep details. During any pregnancy, ovulation is must, and if it is not happening, then undeniably, the woman suffers from Infertility. During PCOD problem, woman faces infertility syndrome because of her irregular ovulation cycle and improper cycle of menstruation. This infertility cause is due to the high rise of androgen hormone and increased level of insulin. If she is not able to conceive then there are two ways to resolve the issue, first is to try natural ways to suppress PCOD disorder and second way is – the treatment (fertility treatment like IVF, or taking fertility medications to make the ovulation at proper time. Generally, PCOD is regarded as one of the common cause of infertility in women. Women who experience PCOD disorder, often suffers from unwanted hair growth on their body. This hair mostly grows on face, like- upper lips, chins or face area, stomach, back or may be chest. This problem occurs in PCOD women because of high rise of androgen (male hormone), during the hair loss, frontal hair of the women on the scalp becomes thin or falls. PCOD women often experiences headache and mood swings. More than 30% of PCOD women are in the circle of depression and some women experience anxiety as well. High level of androgen increases the size of the oil production glands in PCOD women and thus it leads to acne problem, though acne is common amongst women or young age girls but in the case of PCOD, acne is more severe than normal. The main reason to occur PCOD in women is yet unknown, but several researchers have found that there may be the connection of family history, lifestyle way, food habit and insulin resistance and environment influences the cause of PCOD. This is one of the vital factors, which causes PCOD in women. Insulin resistance occurs by the part of the lifestyle, what we are living, that includes being overweight, gaining weight is due to the diet or physical inactivity. Women who are suffering from PCOD have a particular type of insulin resistance which is caused by genetic factors. Women, who are over slim, can also have PCOD issue. So, either Insulin Resistance could be a result of by genetic factor or by gaining weight or it can be a combination of these two factors as well. 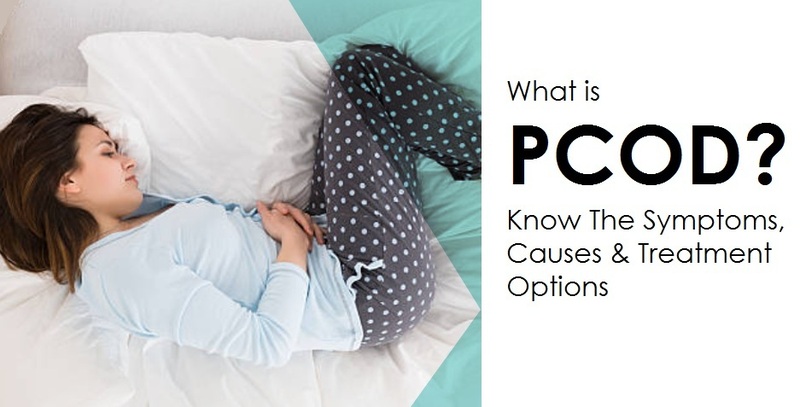 Female relative of women with POCD do have the chances of having PCOD. Type 2 diabetes is very common in those families who suffer from PCOD issue. Women, who have gained weight, can jump in the disorder of PCOD like irregular menstrual cycle or improper ovulation cycle. To reduce weight, you have to manage your diet plan and do proper exercise or work-out. Avoid or simply leave Alcohol.